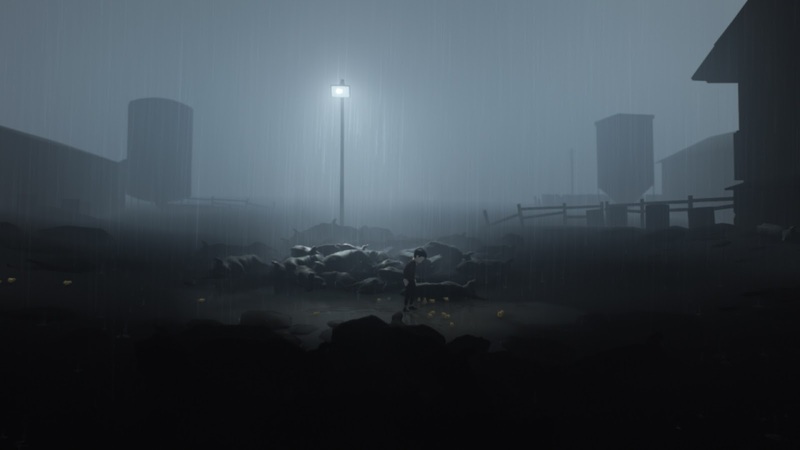 A young boy is fleeing for his life in a monotone world, where an unknown threat is around every corner. In the darkness he hides and sneaks to safety. His every footstep precise, deliberate and silent. Safety is so close he can taste it. His heart beats like a pounding drum in his chest as he slowly places his foot to the ground. A twig snaps- *crack*. A flashlight swings through the darkness, the beam catches glimpse of him and the ravenous dogs are set loose. The boy panics. His heart is now in his throat as he runs with every ounce of speed he can muster. The dogs close in on him fast. Their bony, starved bodies ready for the kill. They can smell their next feed on him. The boy trips on a branch and scrambles to his feet again, hearing the dogs claws scratching the earth behind him. Closer. Closer they come. He can almost feel their hot breath. The hounds are at his heels. They leap to grab him, but the boy leaps first- off the cliff and into the abyss. The thick darkness below threatening to end him. His arms flail reaching for something, anything to grab on to. His nails fill with dirt as he claws against the slippery dirt wall before him in desperation. Nothing. There is nothing to grab. He gasps as the floor comes up fast below him. The cold water rushes around him as he sinks to the bottom. Or is he floating to the top? He can barely tell in the darkness. He swims, forcing the water around him as he feels his lungs empty and his head start to spin. Kicking and pushing until finally his head breaks through the surface of the water and he feels the rush of air fill him once again. He hears the dogs barking in the distance as he silently swims away. He is safe- at least for now…. So what is this? A game or a thriller story? Well… it’s both. And the above is just a small piece of what you can expect to experience. From the very first moment you pick up and play INSIDE you are thrust into a world of darkness with so little colour and light that you feel instantly lost. 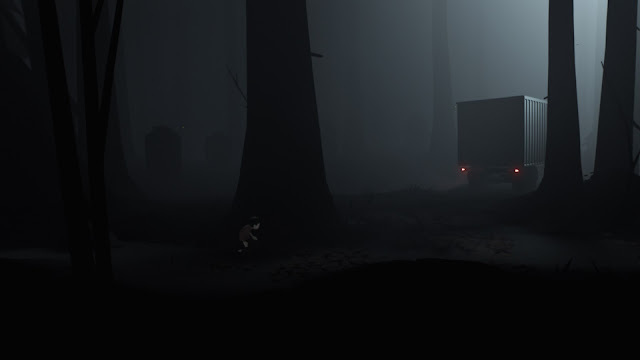 As you make your way through the forest you find yourself coming face to face with a shadowy and unknown threat. You have no idea why these figures want you so badly, or why you are escaping from them. You only know one thing- if they find you, they will kill you. 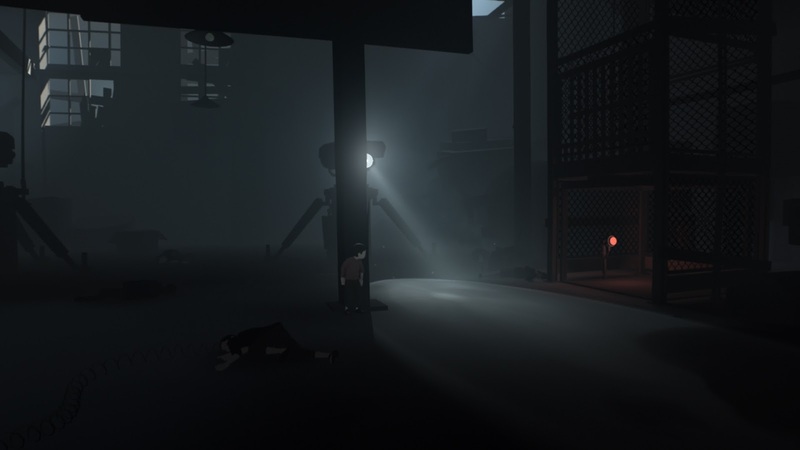 From Playdead, the makers of Limbo, INSIDE is created in the same dark kind of world as a sort of spiritual successor. But you, the prey, are made more vulnerable again as you play the part of a small, lost boy fighting against an enemy far bigger than himself. Not only is this survival a huge task for such a little person, but he's entirely alone while anyone not an enemy seems to be some kind of zombified human under their control. It will take all his strength and ingenuity to reach that ever elusive safety. 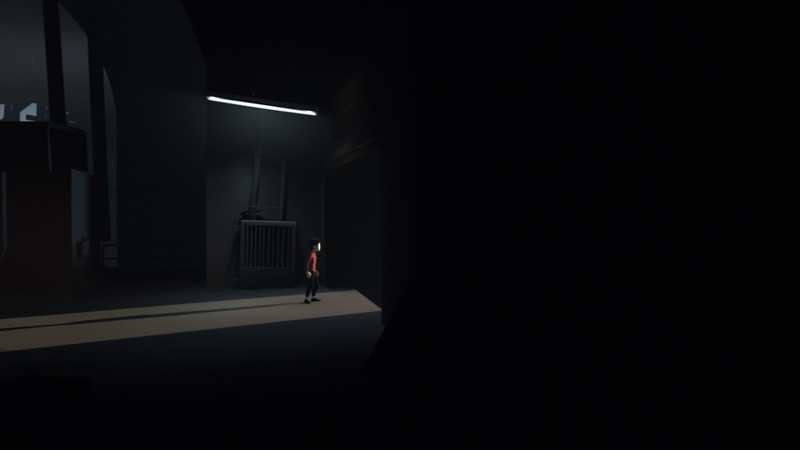 This side scrolling action adventure/thriller will challenge you to complete puzzles and navigate an often precarious world. Only minutes into the game you feel invested, drawn into the world around you and this character you know so little about. The controls are basic and uncomplicated but never told to you, so it’s quite remarkable how quickly it will all feel like second nature. Climbing, pushing/pulling, jumping, rope swinging, ladder climbing and even mind control are presented in such a way as to be uncomplicated and therefore not a distraction from where INSIDE really wants you to be looking. And while you are so focused on the boy’s interaction with the world around him you will hardly notice the suspense building up. That is until that first moment of absolute silence, when a loud crash of machinery makes you cringe and you find yourself waiting to be set upon by those shadowy figures. 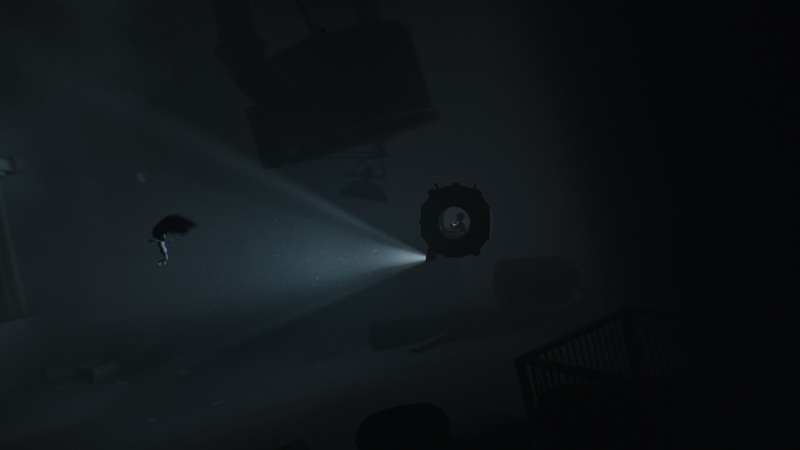 Lighting (or lack thereof) is a major component in INSIDE. From the innocent but unnerving street lamp, to the dangerous flashlights and spotlights that spell your fate in seconds. 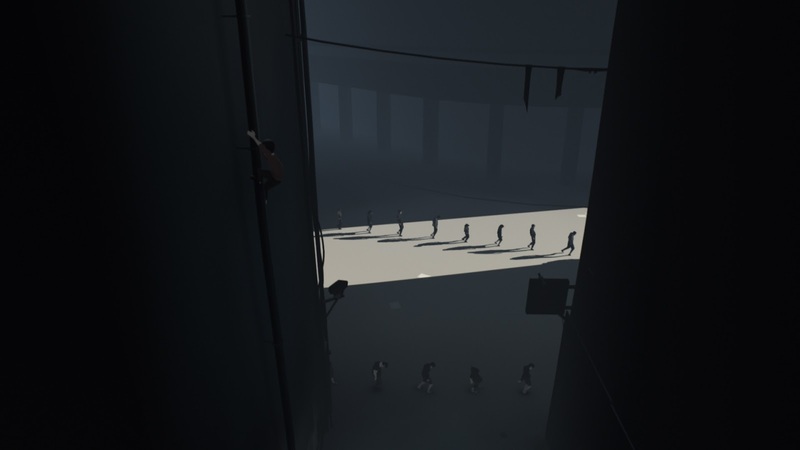 Stealth is a major key to this game as are timing and creativity in solving the many puzzles put before you. The puzzles themselves are straightforward enough, once you know how to solve them. 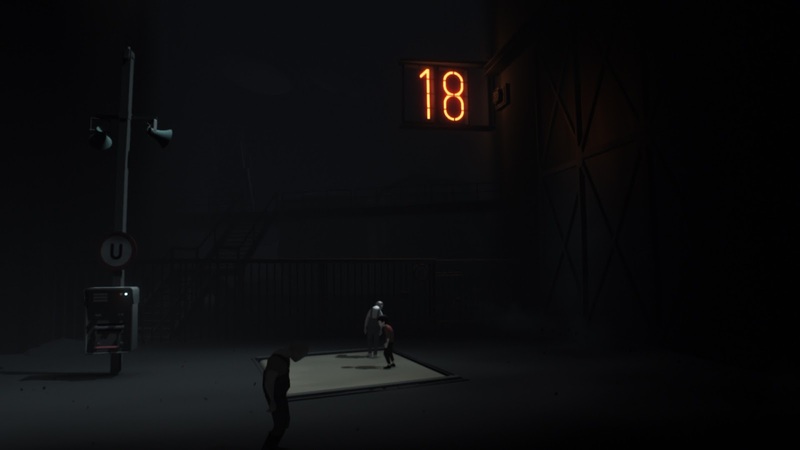 Due to this the game does not feel slow or sluggish in any way but maintains its pace very well. You will be given quieter moments of puzzle solving but these are countered with time critical areas that require a bit more finesse. 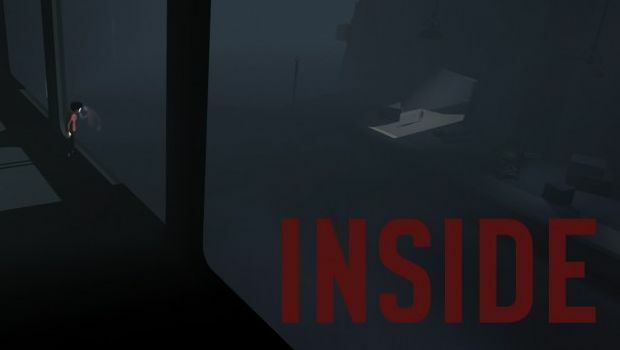 INSIDE will have you tackling everything from rooftop parkour to deep underwater navigation. And even in these obscure places, you are never truly alone. While the soundtrack behind a game is often underrated, for INSIDE I can only say they did everything right. When the music plays it sets each mood so effectively. And when you are left in a room with absolute silence, it’s equally as terrifying and thrilling. It’s pure perfection. There is so much I could say about this game. It’s intelligent, addictive, satisfying, edge of your seat action and suspense. It’s picturesque…don’t even ask how many screenshots I’ve collected! And I am going to finish this review right here because I simply can not wait to get my hands back on that controller. Do I really want to press that red button? 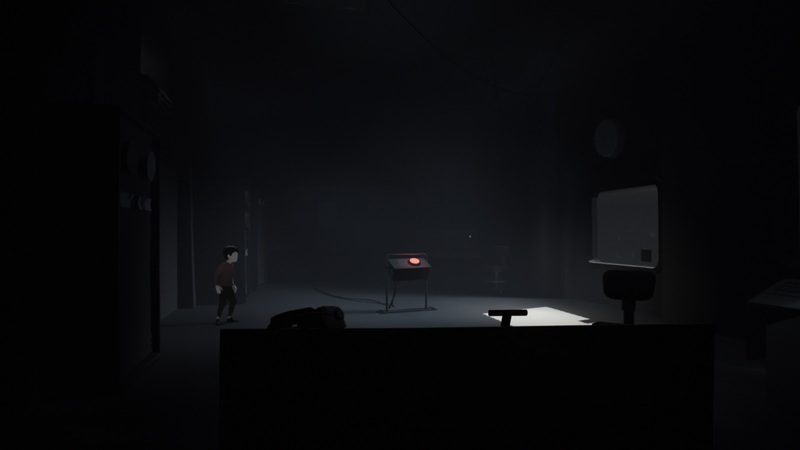 Don’t be in ‘limbo’ about INSIDE. ;) Do yourself a favour and grab a copy. It’s an experience you don’t want to miss.